Office of the Speaker issuing a press release has addressed the allegations that the state media being biased. In the press release the Speaker has stated that many MPs has pointed out at the parliament that the state media has been behaving in a biased manner. 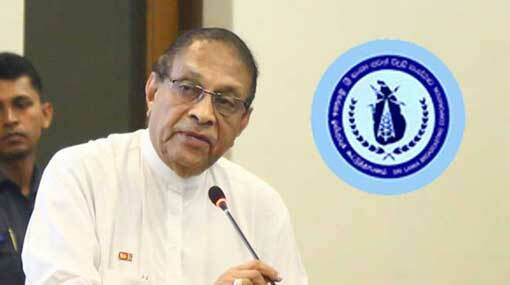 In order to inquire on this matter and the suspending of the live broadcast of the parliamentary session by Sri Lanka Broadcasting Corporation (SLBC), the Secretary to the Ministry of Mass Media Sunil Hettiarachchi and SLBC Chairman Somaratne Dissanayake were summoned this afternoon (05). At the meeting, the Speaker pointed out the need to work completely independently and responsibly during the existing political crisis. He also stated that the Parliament is highly concerned about the functioning of State media institutions Sri Lanka Rupavahini Corporation, Sri Lanka Broadcasting Corporation, Independent Television Network, Associated Newspapers of Ceylon Limited. Accordingly, the Secretary to the Ministry of Mass Media stated that the attention of the state media institutions will be immediately directed to the facts pointed out by the Speaker. Additionally, the Chairman SLBC, who expressed his regret for suspending the live broadcasting of the parliament, confirmed that the situation will be rectified as soon as possible.